We work closely with newspaper partners on a number of initiatives, and as part of the Google News Archives digitization program we collaborated to make older newspapers accessible and searchable online. These have included publications like the London Advertiser in 1895, L’Ami du Lecteur at the turn of the century, and the Milwaukee Sentinel from 1910 to 1995. A link to browse individual historical titles is at http://news.google.com/newspapers, and from there you can search the individual newspaper. I will continue to add these titles to my Online Historical Newspapers website. It does take time, and I am currently nearly finished with the titles beginning with the letter A. Last week, the Library of Congress updated the Chronicling America Web site with more than 230,000 additional newspaper pages in various titles. The site now provides access to more than 3.7 million searchable newspaper pages from 506 newspaper titles, published in 22 states and the District of Columbia between 1860 and 1922. These titles are also being added and updated on my site. Keeps me busy! I was excited to recently be given an opportunity to review A Better Place: Death and Burial in Nineteenth-Century Ontario by Susan Smart. Ontario is an ancestral location for at least half a dozen of my family lines and I looked forward to learning more about how death and burial practices probably took place in their lives. I was not disappointed. The first part of the book, "Death and Burial," explains in nine chapters the attitudes toward death and the evolution of burial customs over time from the pioneer days through the Victorian age. How cemeteries and funeral homes were established is detailed. Also explained are different practices according to religion and origins of modern funeral customs. Excerpts from local histories, etiquette books and letters of the period, and photographs and advertisements from local newspapers are all used to enhance and illustrate each chapter. In "Part II: Genealogical Implications," each of the nine chapters from Part I is revisited, with a listing of resources (hard copy and electronic) which correspond. For example, the first chapter in both parts is titled "Death and Attitudes." In Part I, this chapter explains the attitudes nineteenth-century people in Ontario had toward death as found in local histories. In Part II, this chapter lists where to find local histories and other related sources in libraries and on the Internet. Smart describes when resources may be difficult to find and offers tips and suggestions. She states when record keeping began for various sources and gives pointers for alternatives before record keeping was required. All notes are cited and a helpful fourteen-page bibliography is also provided. 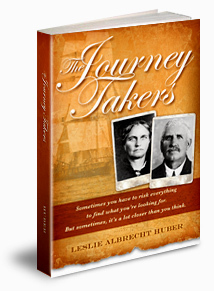 This title is an excellent reference work that is beneficial for any genealogist with Ontario roots. 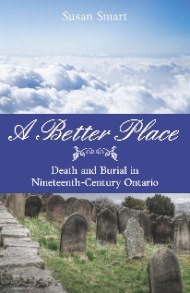 A Better Place: Death and Burial in Nineteenth-Century Ontario by Susan Smart was published in 2011 by the Ontario Genealogical Society/Dundurn Press and is 235 pages. It is available in for $14.82 (US) at Amazon. Disclosure: I received a free book from Dundurn Press for review. 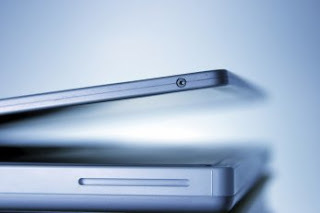 As an Amazon Associate, I receive a small percentage of the purchase price when readers purchase a title through the Amazon link above, although this title is available at other websites and various bookstores. The May 2011 Scanfest will take place here at AnceStories this coming Sunday, May 22nd, from 11 AM to 2 PM, Pacific Daylight Time. This is one week early due to the last Sunday of the month (our normal Scanfest time) falling during Memorial Day weekend. If you would like to be a Producer, please e-mail me no later than Saturday, May21st at 4 PM, PDT and I'll send you an invitation. Preference will given to previous Scanfesters. You must set up an account (free!) ahead of time to be a Producer. This account will be good for all future Scanfests. You can do some practices ahead of time by going to My Account and clicking on the link under Practice your live blogging. Again, you must have IE 6.0+ or Firefox 2.0+ to be a Panelist.